A Little Pink Pop for a Special Birthday! A.’s Mother-In-Law turned the big 6-0 this summer and A. wanted to make sure that she felt special the day she celebrated with her family. After raising 4 boys, she now has 6 granddaughters to spoil so A. decided on a pink theme- which also happens to be the birthday girl’s favorite color. 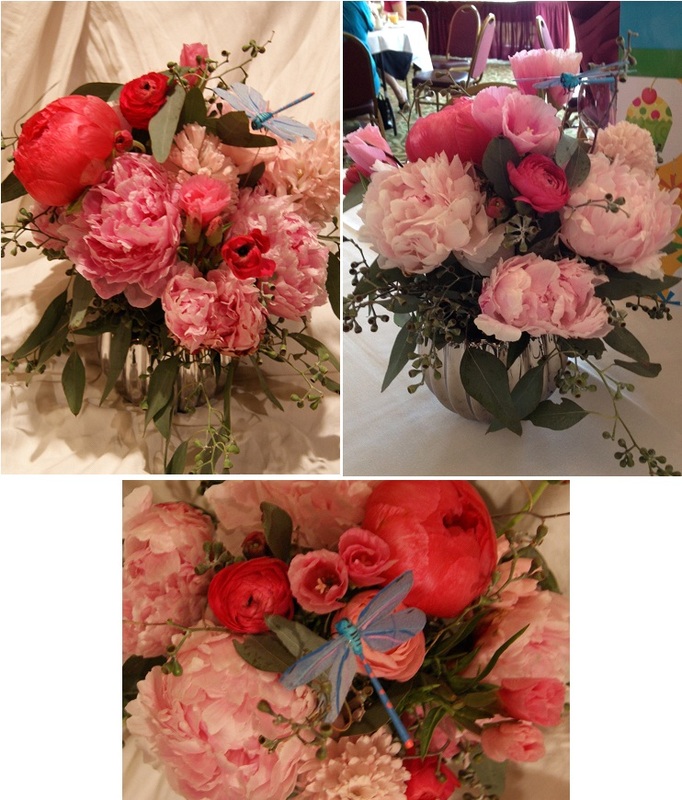 A. made 3 centerpieces and a pearl wrist corsage for the beautiful summer event using big blossoms of peonies and A.’s favorite- renauculas! 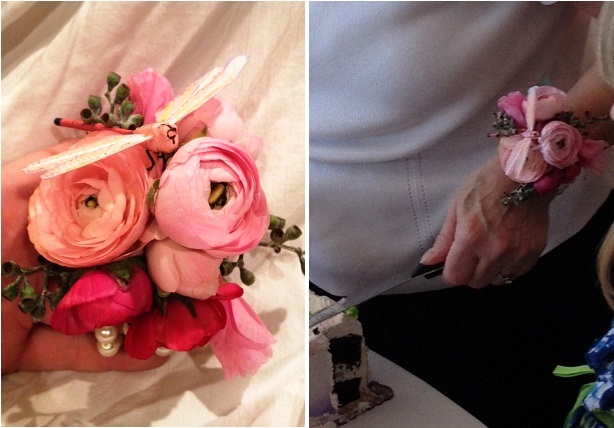 Dragonfly’s- a symbol of poise and power (two vital qualities when raising a brood of boys! ), added a bit of fancy and dimension.